At this time of the year, spring has just spread all over China, while Indonesia, which is located on the equator, is still enjoying the warm breeze and beautiful sunshine. Though all personnel in Nagan Raya Project are far away from motherland and family, we have spent the first happy and peaceful spring festival on site together. During spring festival, our operators still worked on site and cooperated with commissioning party to achieve pulverized coal supplying, synchronization with load and multiple dynamic tests, and establish solid foundation for earlier completion of TOC commercial operation. 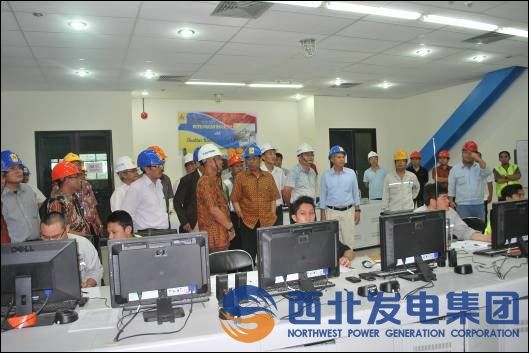 On February 15th, Chief Secretary of Electricity Sector, Indonesia Department of Minerals and Energy, Mr. Jarman, Vice-president of PLN and Electricity Board President visited Nagan Raya power plant that was in trial running. 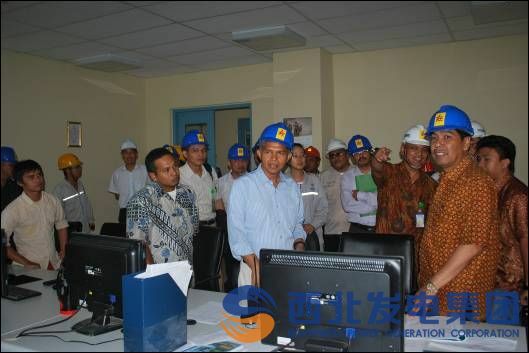 At 17:00 p.m., accompanying with leaders of general contractor, Mr. Jarman and other visiting leaders came to CCR and grid system control room, and was presented with operation condition of field equipment. In addition, they hope the unit can timely begin operation and start generating power as per schedule. On-site visiting of Mr. Jarman and other leaders strongly promotes smooth proceeding of Nagan Raya Project and acknowledged success of pulverized coal supplying and synchronization of unit as a significant cornerstone. Meanwhile, our all personnel in Nagan Raya Project of NWPower are determined to overcome difficulties and face challenges. What's more, under leadership of general contractor and target requirement, we will try our best to timely accomplish #1 unit into TOC commercial operation .